“Sewer service” is a problem in Washington State as well as the rest of the country. I would estimate about 90% of my clients were either falsely served or improperly served based on client interviews. False service is the hardest to deal with because you did not even know it happened. All of a sudden there is a garnishment and the money you might use to try to vacate the default judgment has been taken and the total amount is so low its almost not worth fighting. Improper service is easier to handle if you find out about it. Usually it is flung at your doorstep, left with a neighbor, or sent to an old address and someone tells you about it. But generally you will constructively know about the lawsuit and have a chance to respond. See RCW 4.28.080(16). Obviously not given the pleadings to a person at all or by just leaving them at the residence would not meet this definition. The problem is a matter of evidence. If a process server is willing to commit perjury, the court will assume this third party professional with no real skin in the game is telling the truth. So if you happen to be inside your home with lights on and car parked and no alibi that you were anywhere else (such as a toll receipt, restaurant receipt, etc), you lose. However, there are ways to fight this. Big dogs with closed yard defense: If you have a house where there are big dogs, a closed fence/gate, and no one is getting in without getting chewed up, take some pictures and make a declaration. Most judges would understand that service likely did not occur. Drop camera: Install a camera on your front door facing the entrance/egress to your property. Save the data and check daily, weekly, or monthly depending on the size of your data storage and combine with frequent checks on www.courts.wa.gov to see if any cases have been filed. This is a fairly paranoid, but security conscious, approach that is best used when you know service of process is imminent. The positive is not only can service issues be raised but an additional potential counterclaim against the server who hopefully is licensed and bonded. Secured entrance/doorman defense: Similar to the big dog defense. This is easier to defeat as you can usually just buzz every resident and someone will let you in or if the doorman is not particularly vigilant they will let a server in. Lazy servers will just leave it with anyone with a vague description and often times this does not meet the standard for proper service. Alibi that is provable with admissible evidence that is hard to contradict: Things like a work schedule, toll receipt, restaurant receipt, or even a declaration from a very neutral third party can all prove the service was false. Unfortunately, if it is just your word vs. the process server’s word, you will likely lose so you need evidence that is hard to contradict that would support your version of events. If the declaration is from a friend, a spouse, or someone not seemingly neutral, that may or may not work. Incorrect description: Often times a driver’s license description is wildly out of date. Maybe you were 5’10” and 180 lbs with brown hair and no facial hair when you first got your license at age 16 but now you are 6’4″ and 240 lbs with dyed purple hair and a purple braided beard. Things like wrong race, wrong gender, wrong descriptions can go far and the more variance from the truth the better. Wrong address: If you were served at an old address and a simple skip trace should have turned up your proper address, that is often a defense. 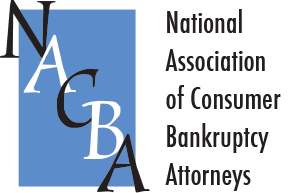 Should you vacate the default judgment or counterclaim for consumer protection violations? Maybe. Even if service is improper, contesting it can often ramp up fees on both sides and could cost you more. If your evidence is more of error (like wrong address) than fraud (where they fake even showing up) or if the amount in question is very low, it trends towards not vacating or counterclaiming. But if the fraud is obvious or egregious and the amount is large, the math usually favors contesting and fighting.